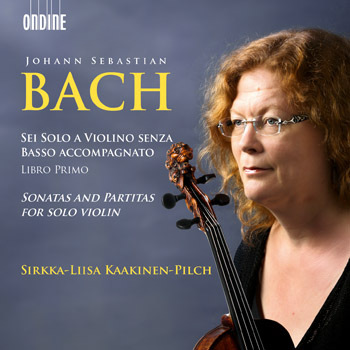 Ondine proudly presents a release of Bach's Sonatas and Partitas for solo violin with Sirkka-Liisa Kaakinen-Pilch. Sirkka-Liisa Kaakinen-Pilch is an unusually versatile violinist, predominantly known for her performance of period music but also excelling in many other styles and genres. Her position as concertmaster in the orchestra of Philippe Herreweghe is testament to her skill as an early music performer. On the present disc Kaakinen-Pilch performs Bach's Sonatas and Partitas on a violin from the 17th century. This collection of works for solo violin was the pinnacle and culmination of the violin's 200-year history in its day. Ondine will release a disc of Orchestral Suites by Christoph Graupner (ODE 1220-2), featuring Sirkka-Liisa Kaakinen-Pilch as violinist and conductor.